Drought tolerant annual; full sun to partial shade. 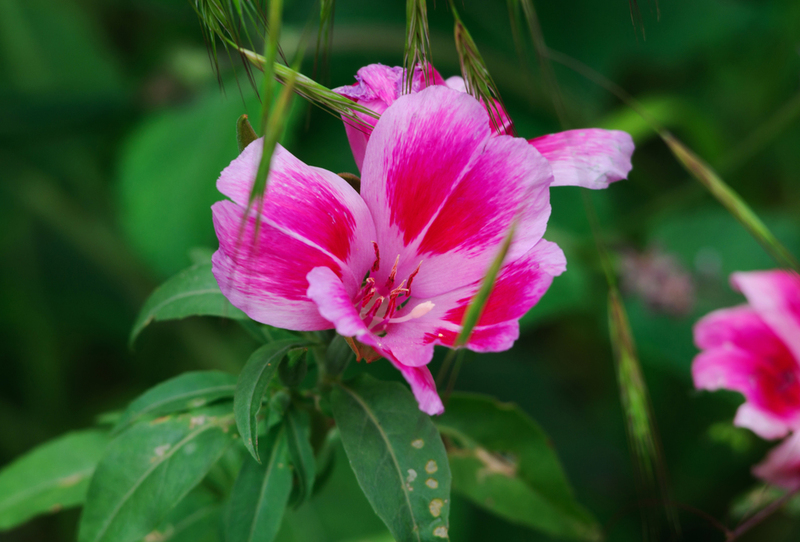 Pink and red petals (often with a dark red spot in the center of each) bloom June to August along grassy slopes or clearings in brushy areas or woodlands. There are both dwarf and semi-tall varieties.